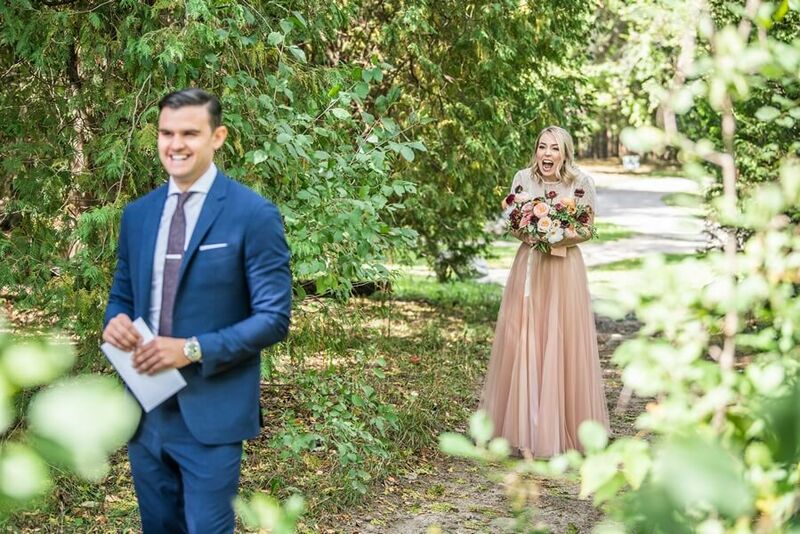 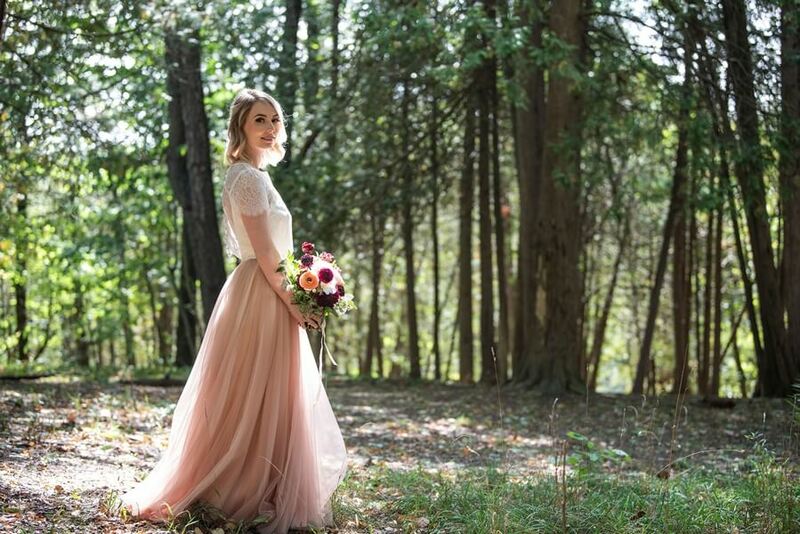 Photography: Jono & Laynie Co.
You might not have heard of it but the little town of Elora, with its surrounding conservation area, is the perfect setting for a fairy tale wedding. 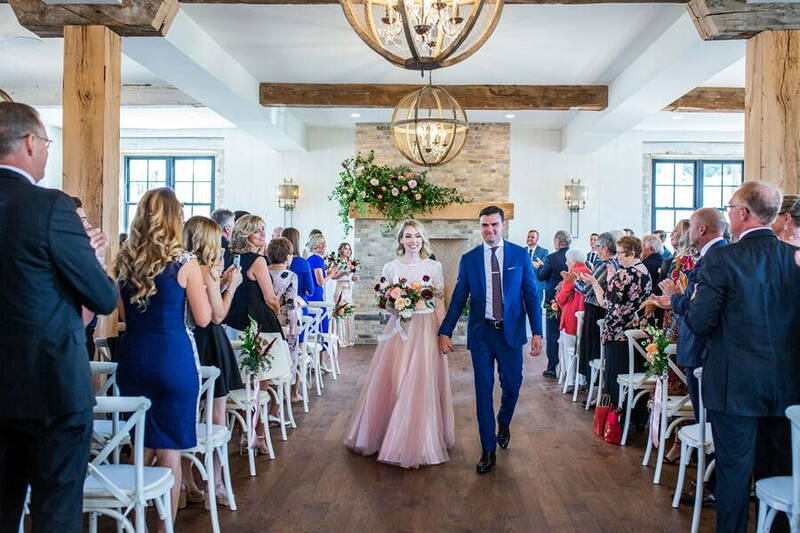 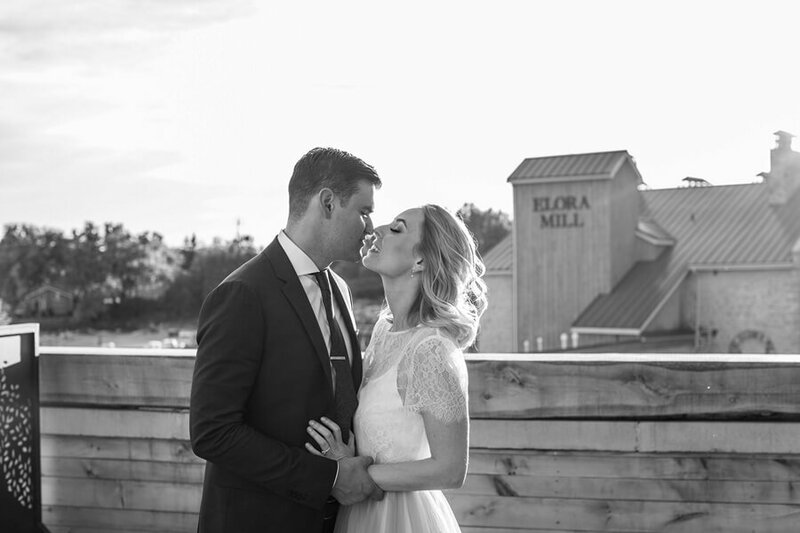 Having stumbled across this hidden gem, Alli and Jason were one of the first couples to have their wedding at the Elora Mill Hotel & Spa. 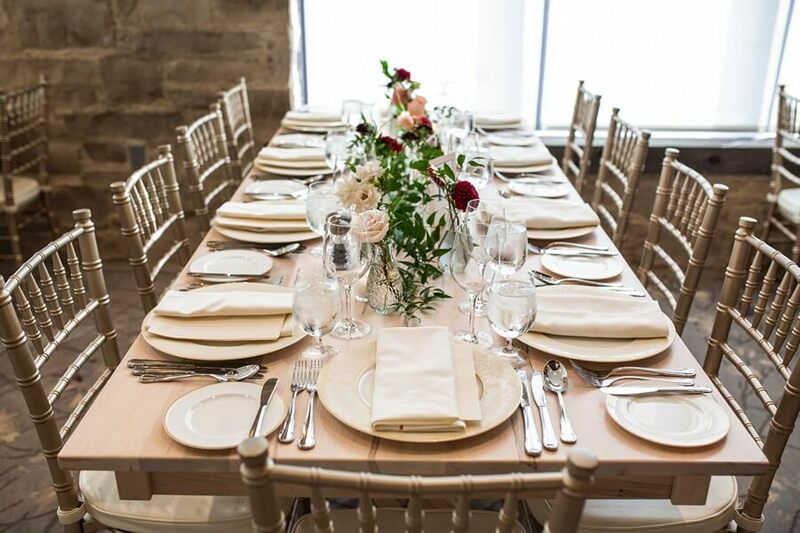 The historical mill has been a part of the Elora community for over 175 years and was just renovated this past summer. 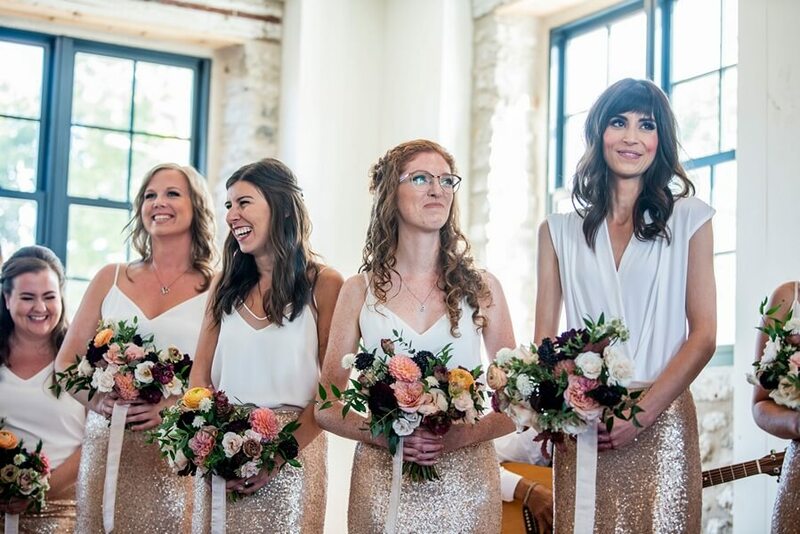 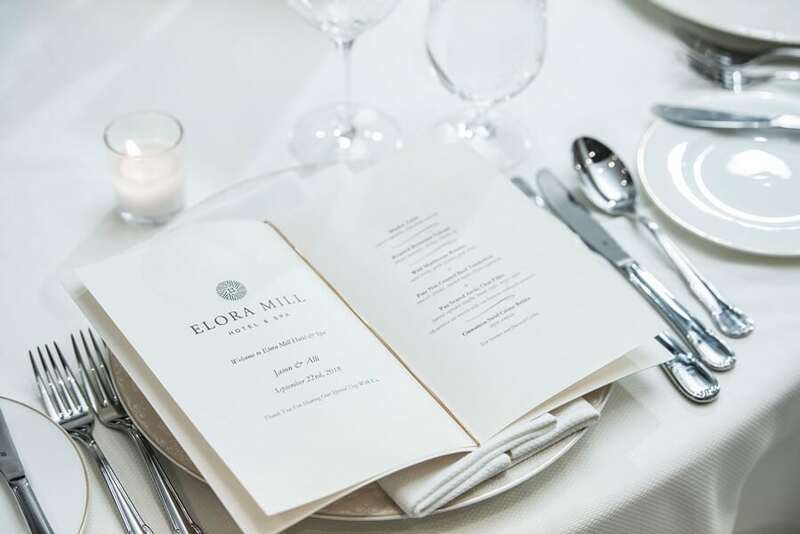 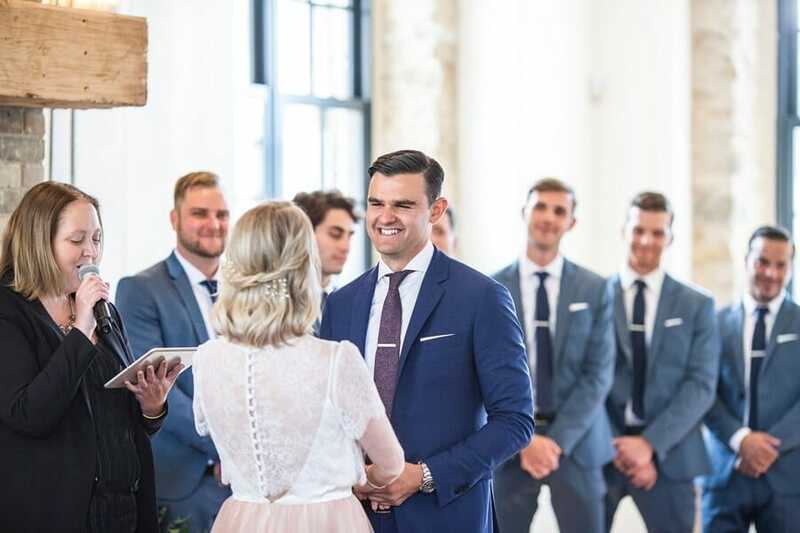 From the Bride: We weren’t super into the whole ‘planning a wedding’ thing so we went with the Elora Mill because they handled a lot of the details for us. 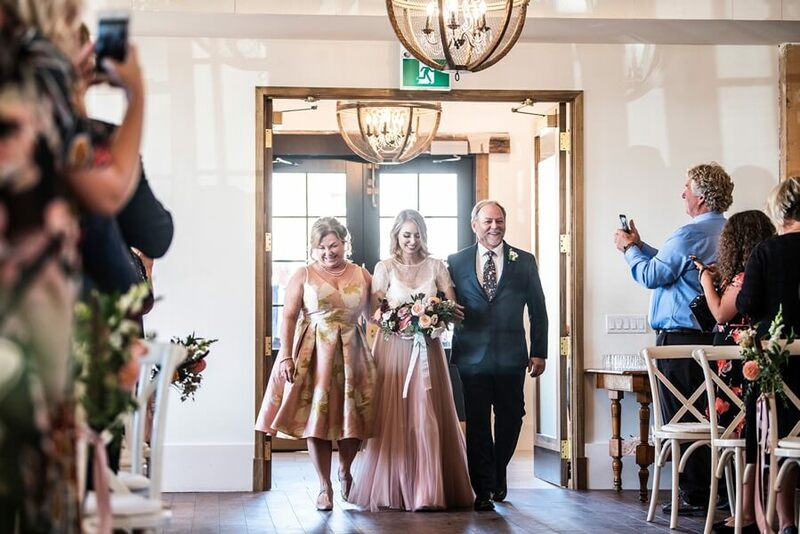 We couldn’t be happier with our wedding day – mainly because it was simple and full of our favourite humans…and having the sweetest most caring photographers went a really long way to helping us feel special in the most comfortable way. 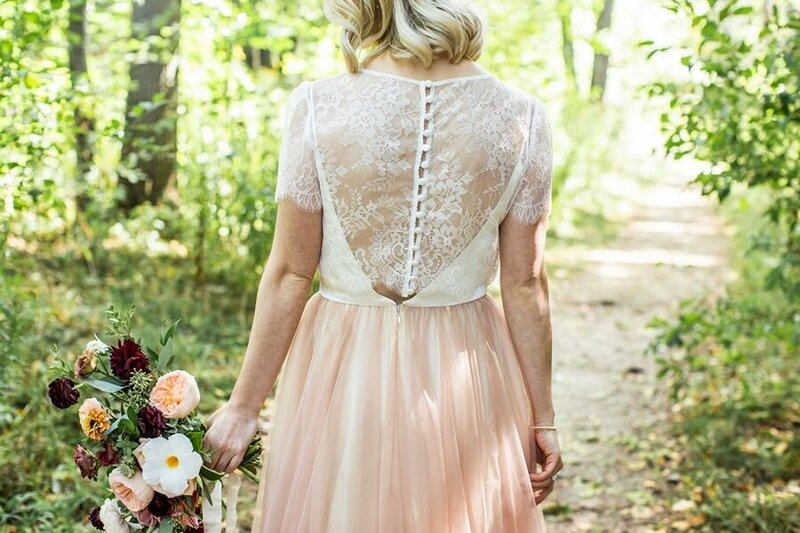 Alli wore a lovely non-traditional dress with a white lace bodice and a soft pink tulle skirt. 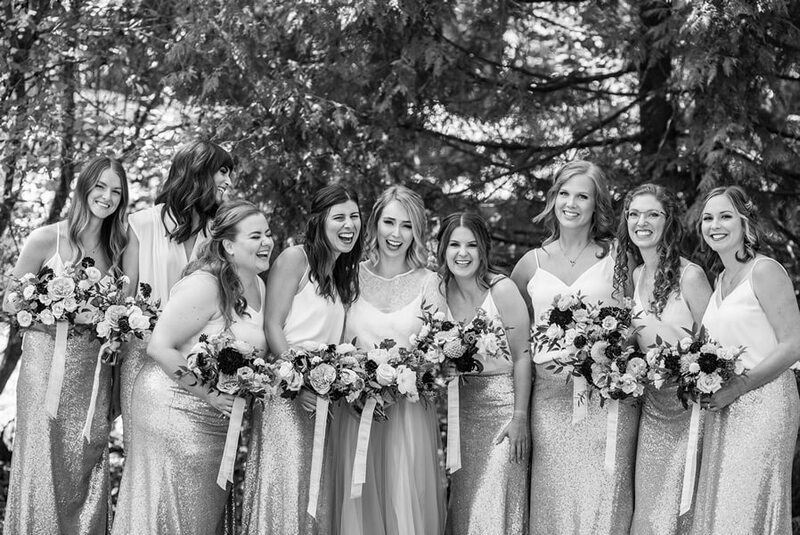 Her bridesmaids put on white tops and sparkling gold skirts to match. 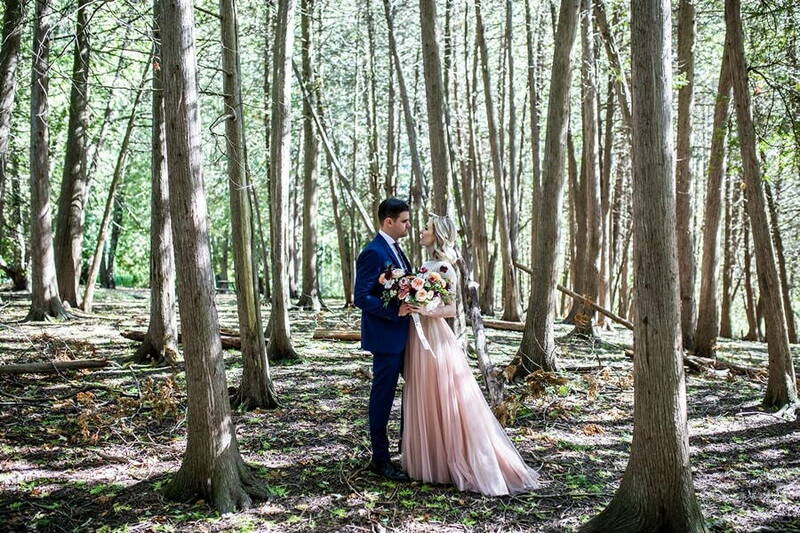 Their dresses looked splendid against the green of the forest, creating a perfect backdrop for Jono & Laynie to photograph. 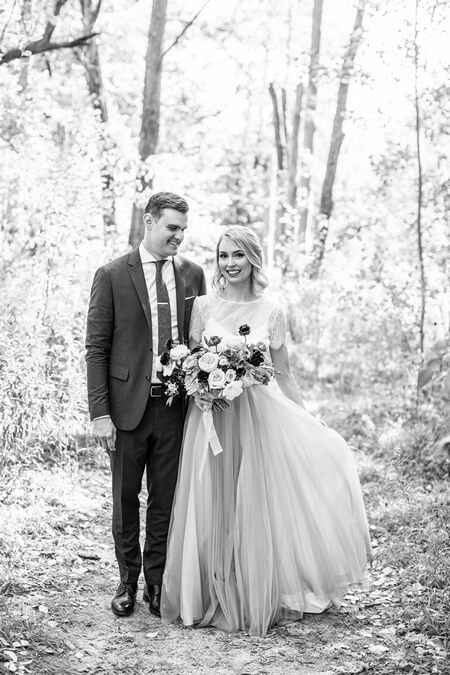 Alli and Jason had an enchanting photo session in the nearby woods. 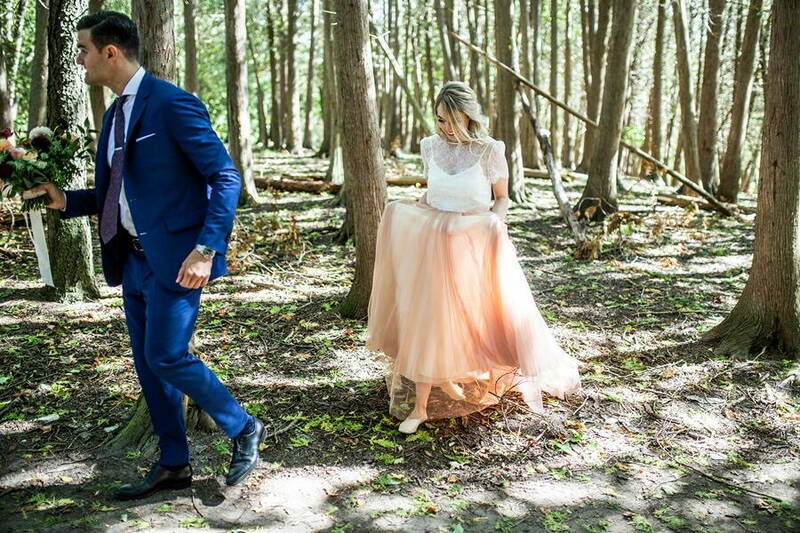 Looking like royalty, the couple had lots of fun exploring the forest in their formal wear. 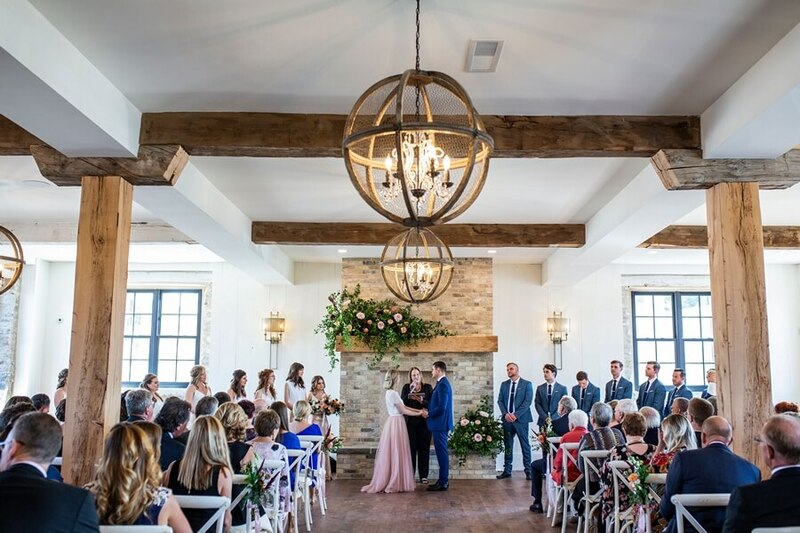 The wedding ceremony was held in a large, yet cozy space. 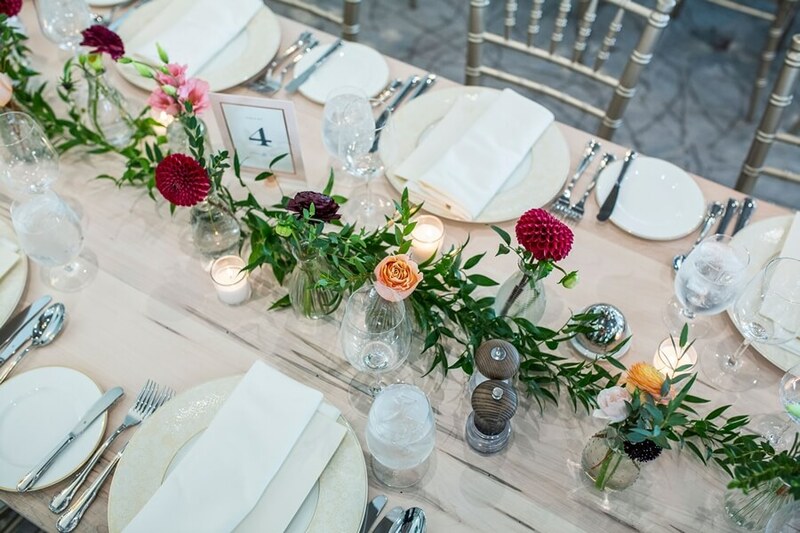 The white walls were accented by exposed stone and natural wood. 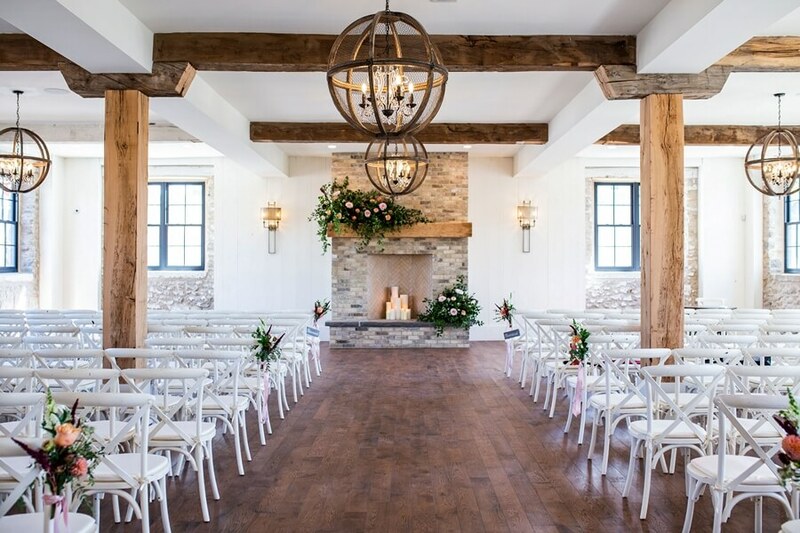 Elegant chandeliers hung in wooden spheres above. 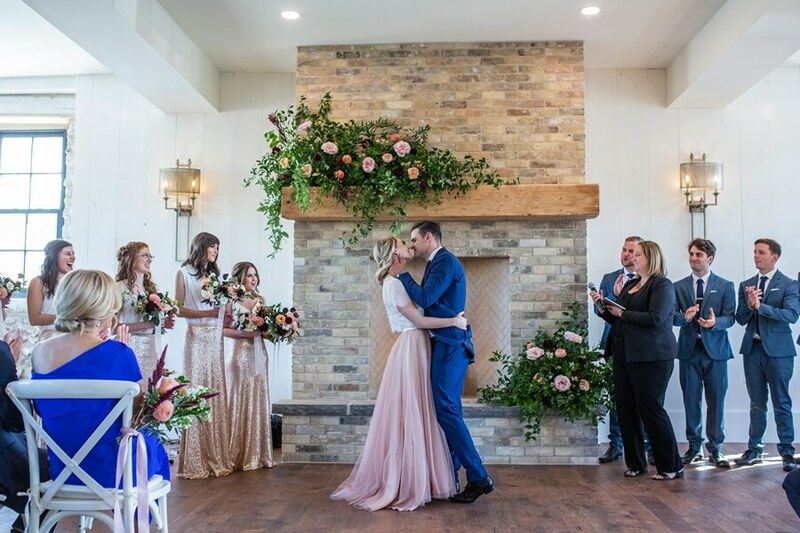 Alli’s parents were so excited to walk her down the aisle to a fireplace where she and Jason said their I do’s. 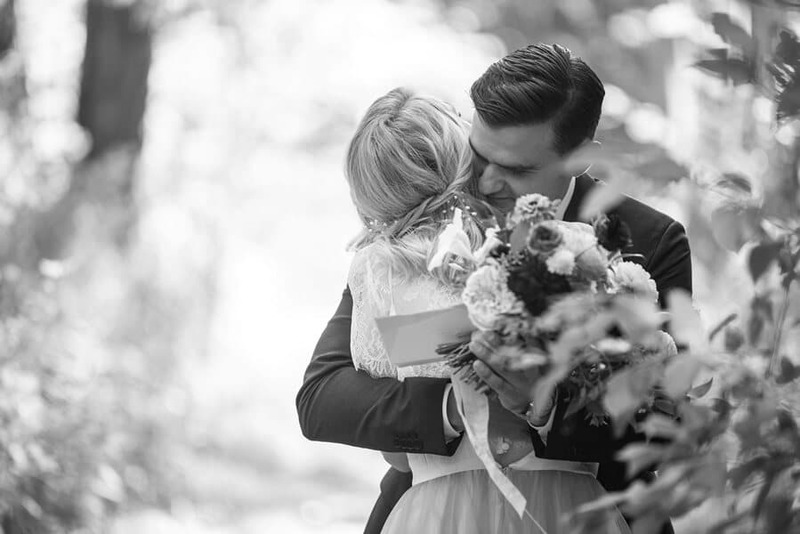 Everyone cheered as the couple kissed for the first time as husband and wife! 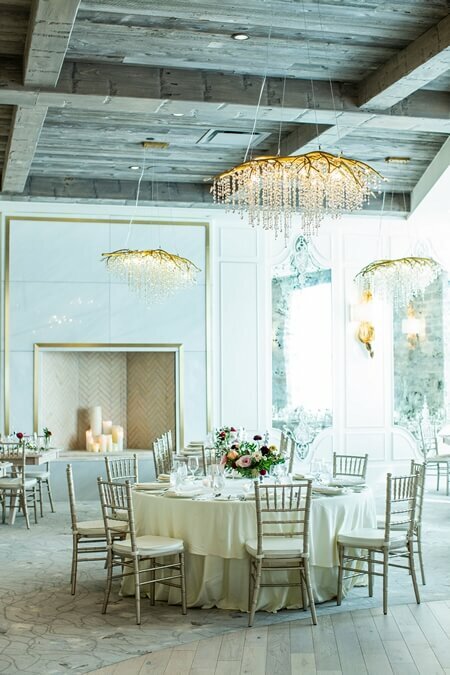 Following the ceremony, guests entered an elegant reception area dressed in silver and gold. 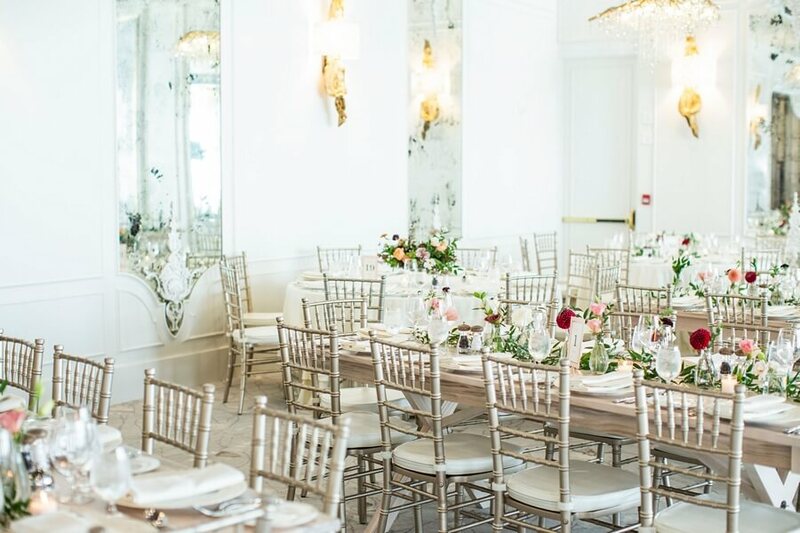 Long mirrors with intricate motifs lined the white walls. 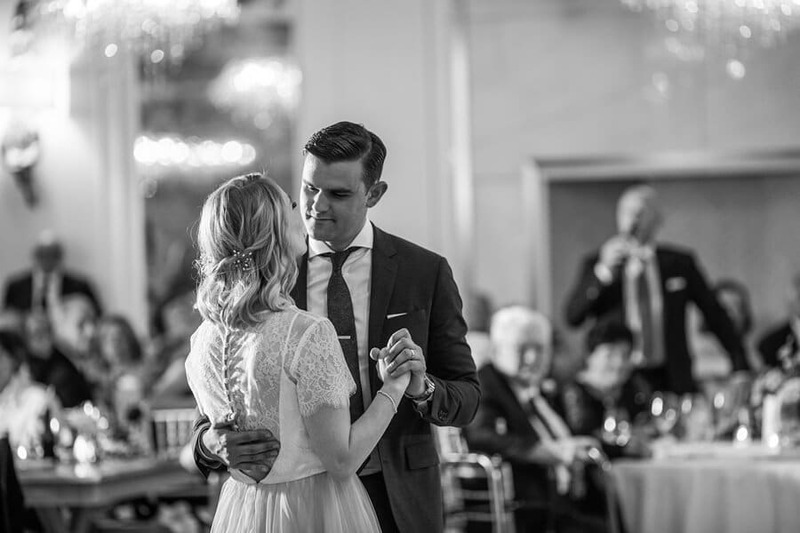 Grey wood ceilings were decorated with delightful chandeliers: like a soft rain, tiny droplets of light trickled from golden branches. 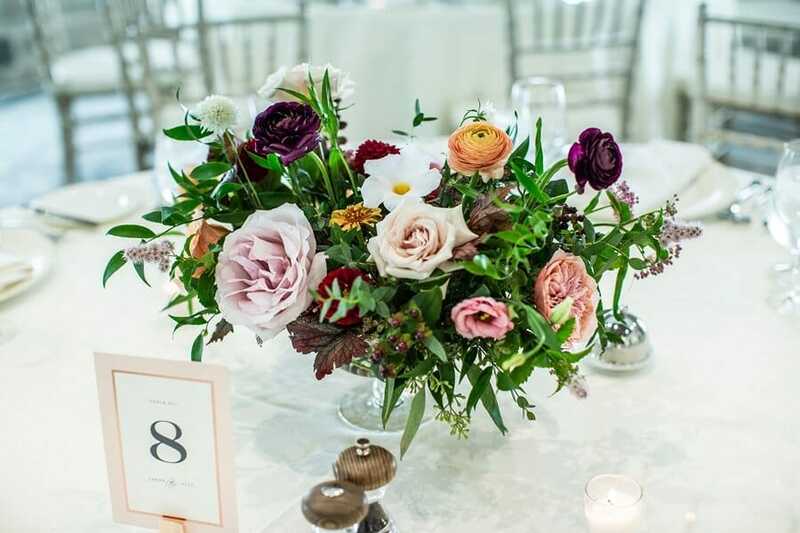 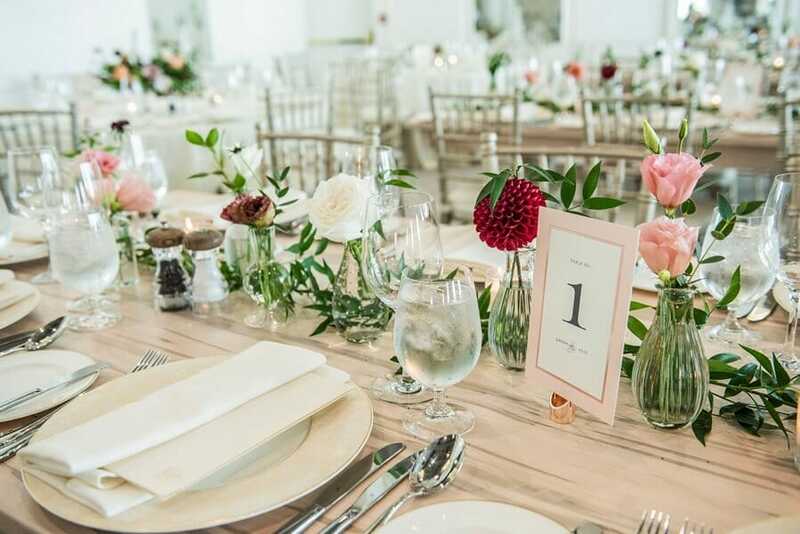 Blooms and Flora decorated the tables with greenery, and placed charming red, violet, pink, peach and white flowers into small vases. 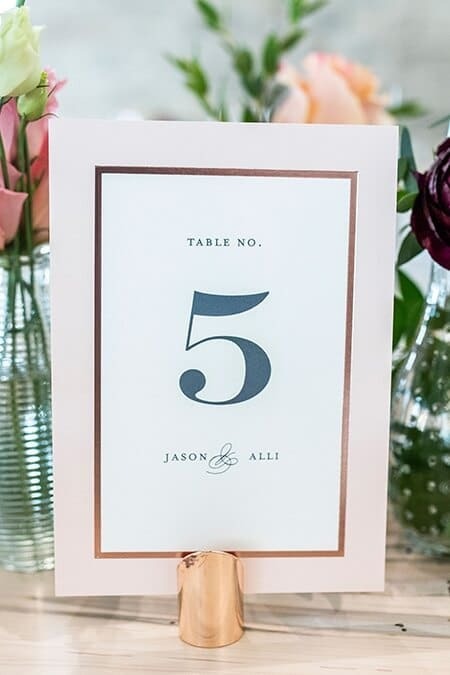 It was the perfect setting for Alli and Jason’s fairy-tale as the couple celebrated with their guests and made some sweet memories! 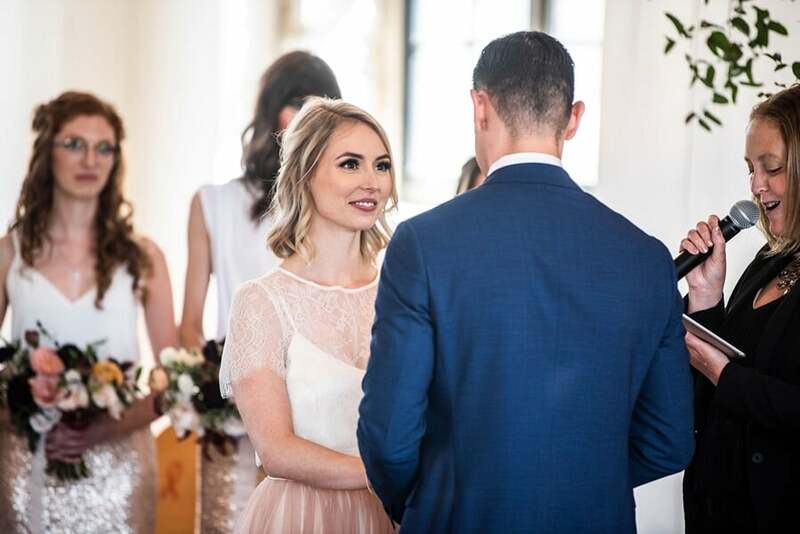 Other Weddings by Jono & Laynie Co.